Illumination systems, by virtue of their contribution to quality of life and their consumption of natural resources, must be designed, supplied, installed and managed in a competent manner. 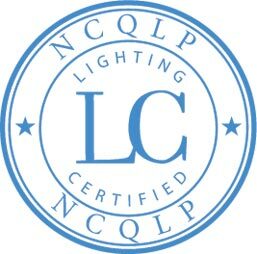 Created because of a recognized need to identify individuals possessing knowledge and experience in the application of illumination in the built environment, the National Council on Qualifications for the Lighting Professions (NCQLP) certifies individuals meeting its standards of education, experience and demonstrated knowledge through a standardized examination. Those certified are entitled to use the appellation LC (Lighting Certified) and once certified are subject to this Standard. In order to uphold the above-stated intent of the NCQLP and Lighting Certification, as a person who is Lighting Certified, I agree to the following Standard of Conduct. I will expect competence of myself and my employees and will seek assistance when I cannot meet the requirements of a specific assignment. I will strive to work in a manner that upholds applicable standards of the IES, NEMA, IALD and other organizations recognized for developing standards by ANSI and other accredited organizations. In my work I will endeavor to comply with all applicable Federal, State and local laws, statutes and ordinances. I will consider appropriate criteria, including project requirements, energy and environmental considerations, and human factors in fulfilling my responsibilities to the best of my ability. I will regularly update my education in the field and remain current by participating in continuing education in all lighting related areas. I will respect the confidentiality of information provided to me by my customers, clients and co-workers and will not reveal proprietary information of any kind without the knowledge and consent of the client, customer or co-worker. I will respect the laws and property rights in the area of product invention, development and manufacture and will not allow the unauthorized use of intellectual property. I will fully disclose anything that could be viewed by my peers as a conflict of interest, especially as it affects my decisions or recommendations. I will maintain records of my work and make them available to those to whom I am accountable upon request. I will be truthful and accurate in the reporting of all information for certification renewal and in any other communications to NCQLP. I will respect the various functions within the industry, including invention, manufacture, sales, distribution, installation, design and engineer. I will extend the courtesy of professional advice and behavior in working with colleagues. I will represent myself and the company for which I work or that I represent in a manner consistent with this Standard. I will clearly distinguish the role of LC and the extent to which it applies and complements other recognition by industry and government. Approved: NCQLP Board of Directors.